25th October 2015. 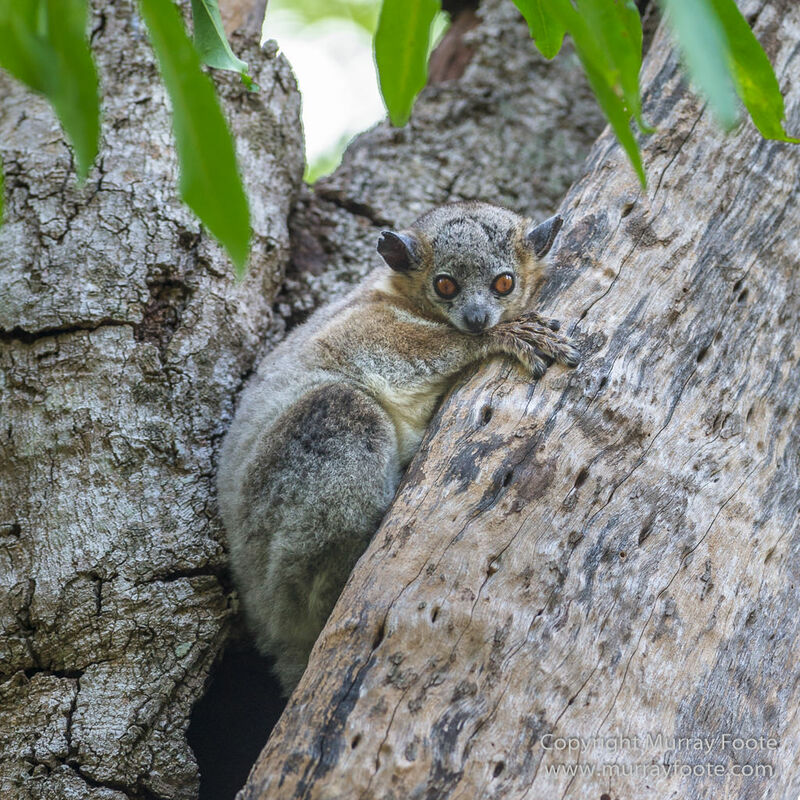 Berenty, Madagascar. 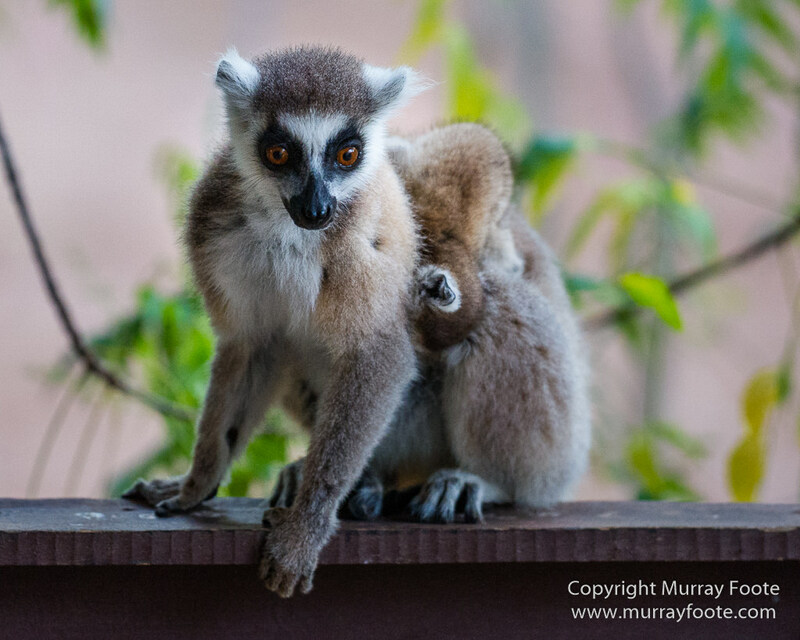 We are in the middle of a nature reserve and the ring-tailed lemurs came right up to out cabin verandah in the morning. 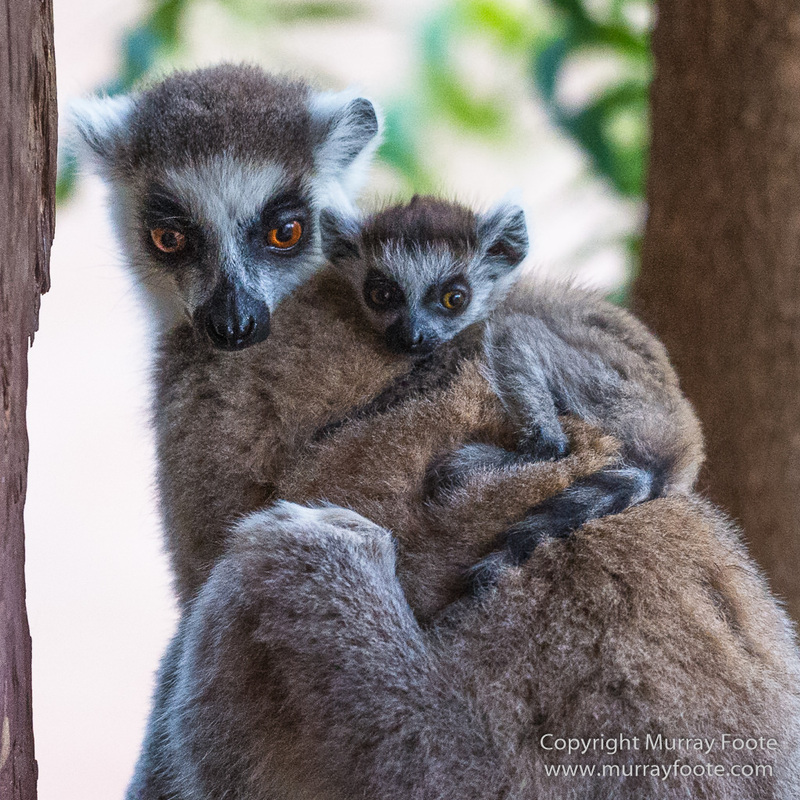 The little one’s now the right way around. 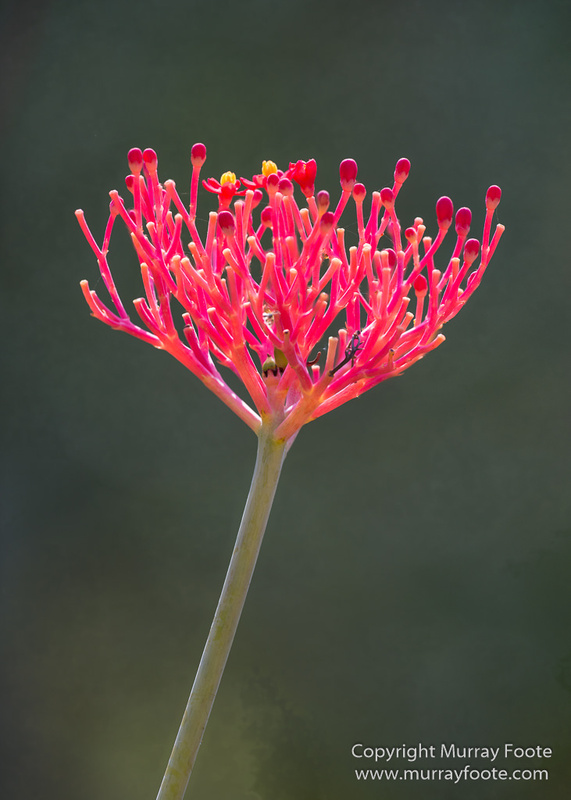 An interesting flower in the desert garden near our room. 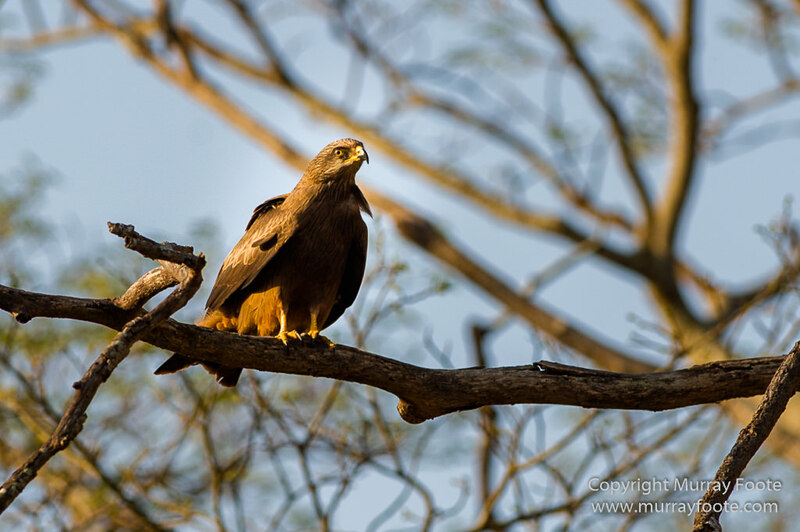 No doubt endemic and local. 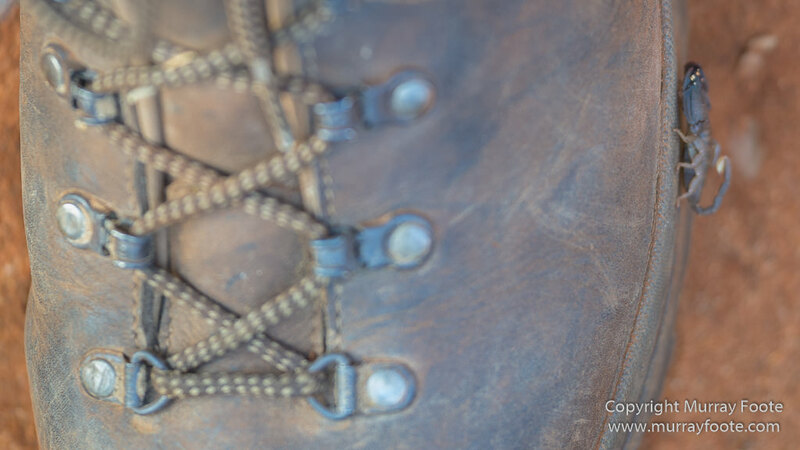 Focus-bracketing from multiple images. 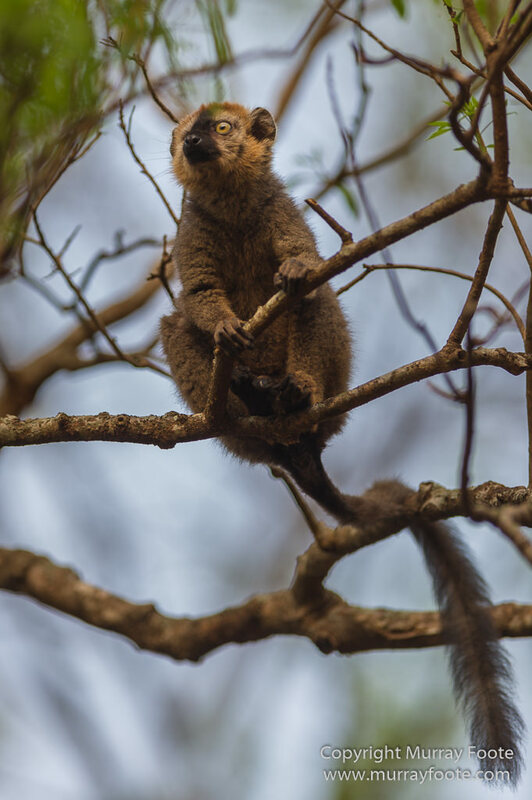 Sportive lemur. There are 24 species. 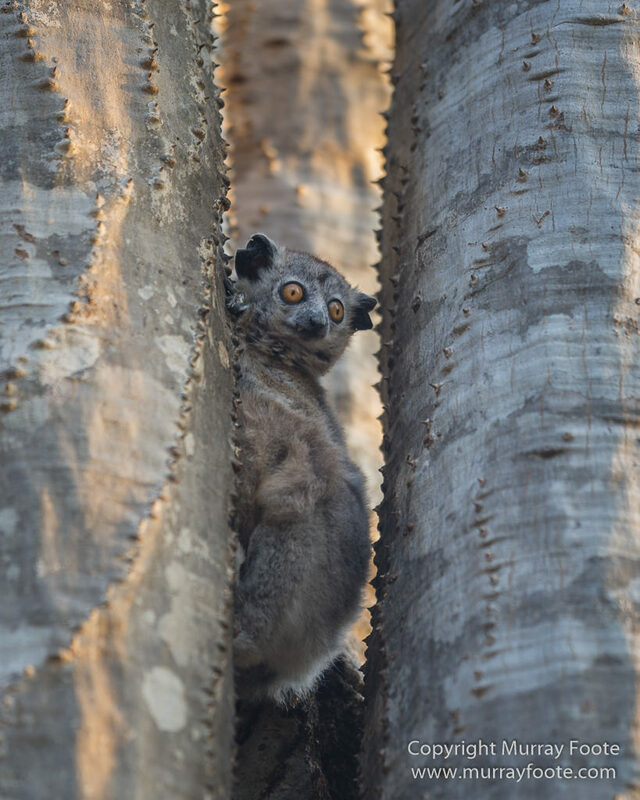 This is probably a white footed sportive lemur. A tiny scorpion on the side of my shoe. Focus not the best but it shows you the scale. … And here he is, in more detail. 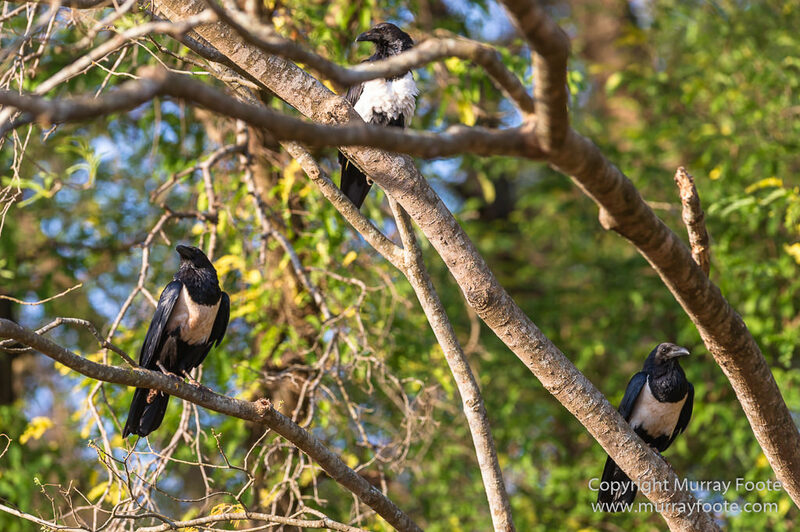 Back to the ring tails…. 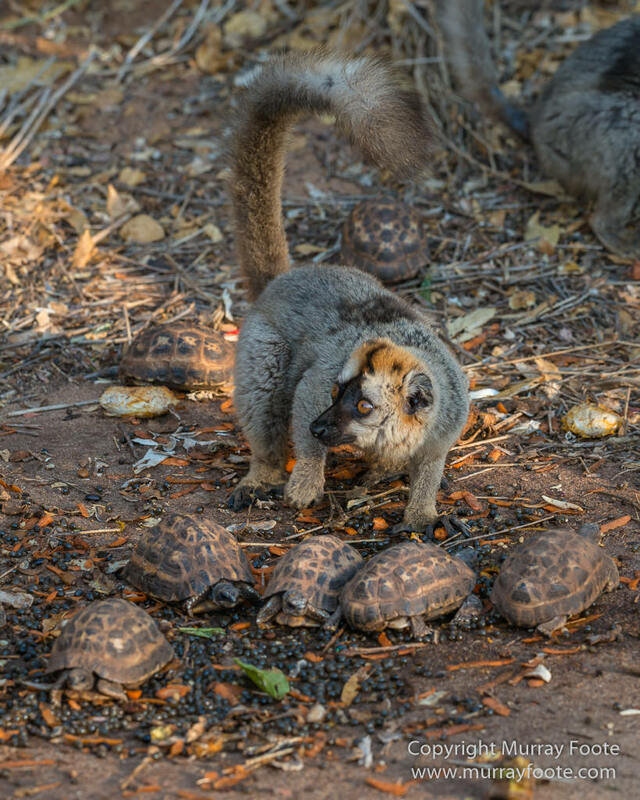 A red-fronted brown lemur with five baby Aldabra tortoises. 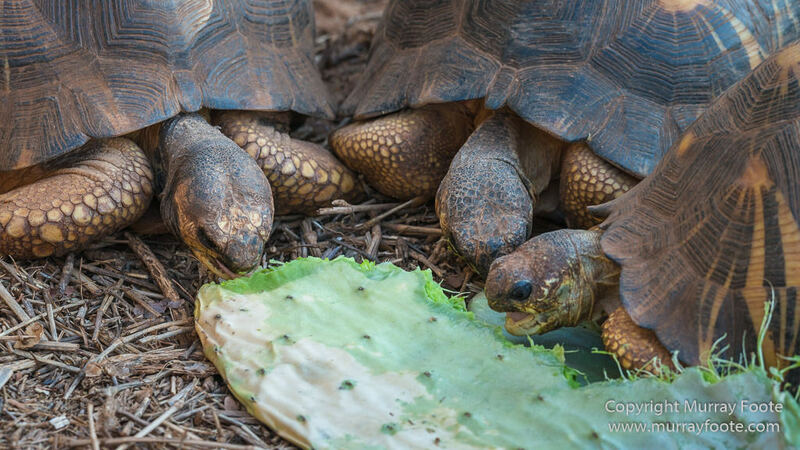 There were two giant tortoise species in Madagascar prior to the arrival of humans but both species are now extinct. Giant Aldabra tortoises, from Aldabra Atoll in the nearby Seychelles, were recently introduced to take up some of the ecological roles of the extinct species, including dispersing baobab seeds. 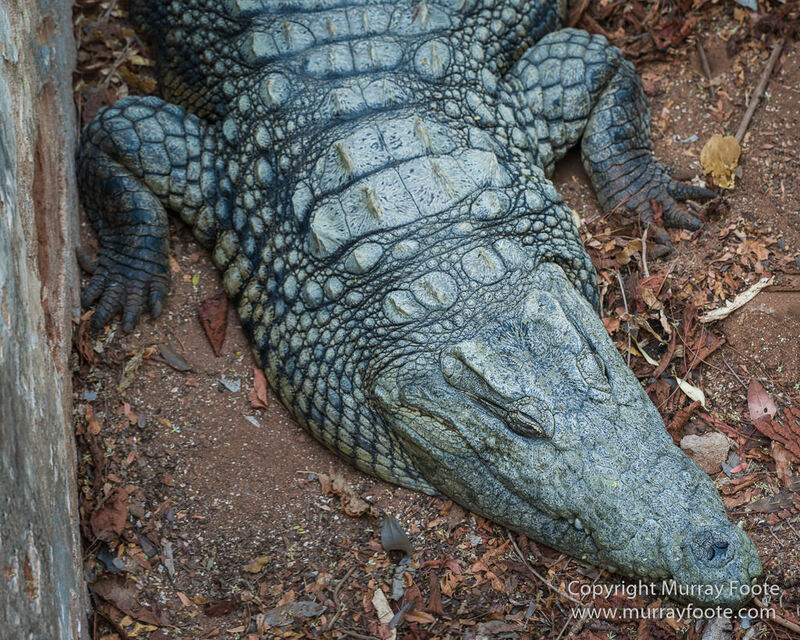 Nile crocodile. It was in a pit; you really don’t want to stroke one. 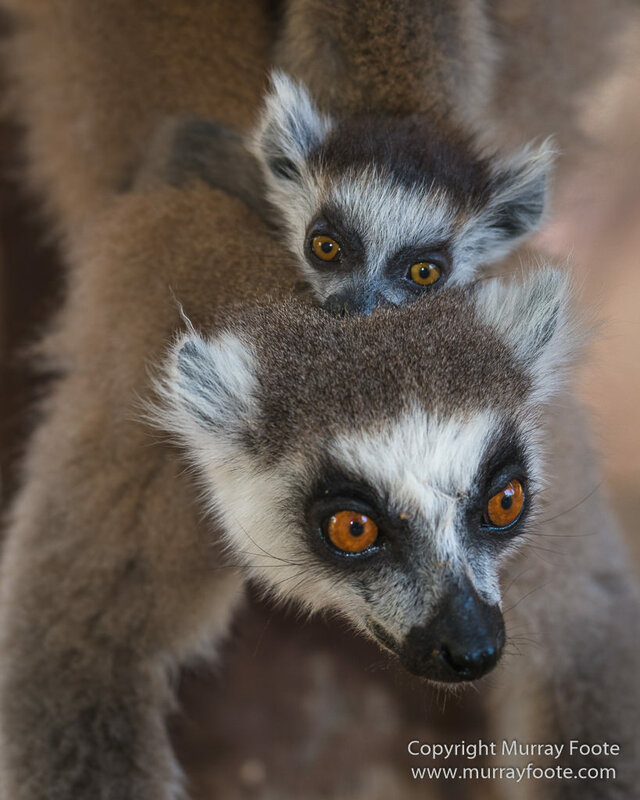 They are native to the west coast of Madagascar as well as much of Africa and have the strongest bite of any animal. 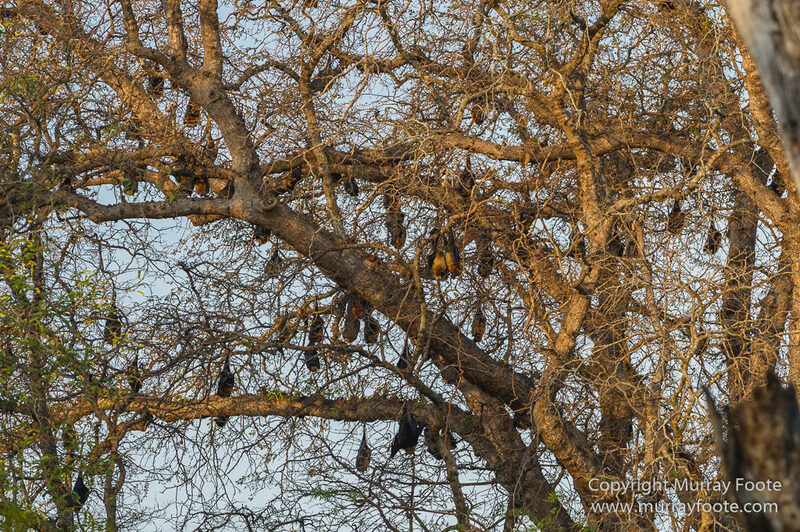 Madagascan fruit bats, endemic to Madagascar. Here in numbers but still rated as vulnerable. 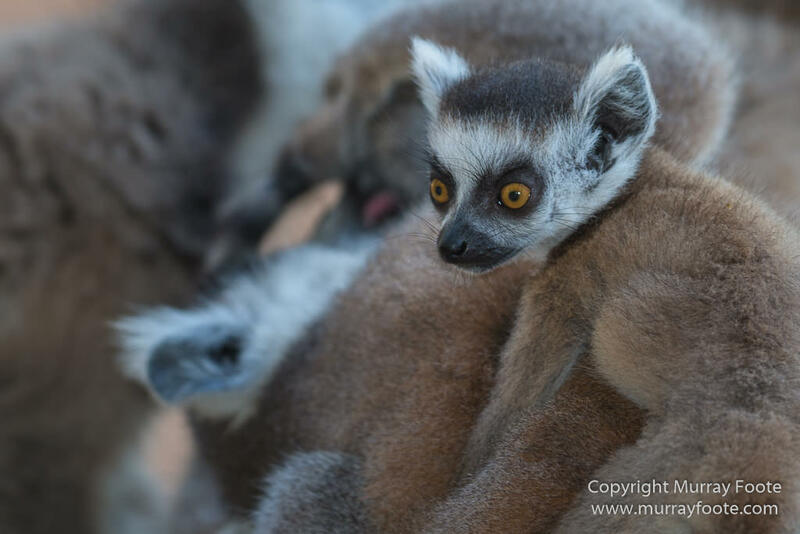 This entry was posted in Madagascar and tagged Aldabra tortoise, Berenty, Landscape, Madagascar, Nature, Nile crocodile, Photography, Red fronted lemur, Ringtailed Lemur, Spiny Forest, Sportive Lemur, Travel, Verraux's Sifaka, Wildlife, Yellow-billed Kite. Great shot on the baby scorpion – and so glad that some tortoises were reintroduced. I can’t help wondering how dangerous a scorpion at that size would be. I wasn’t about to test it though. 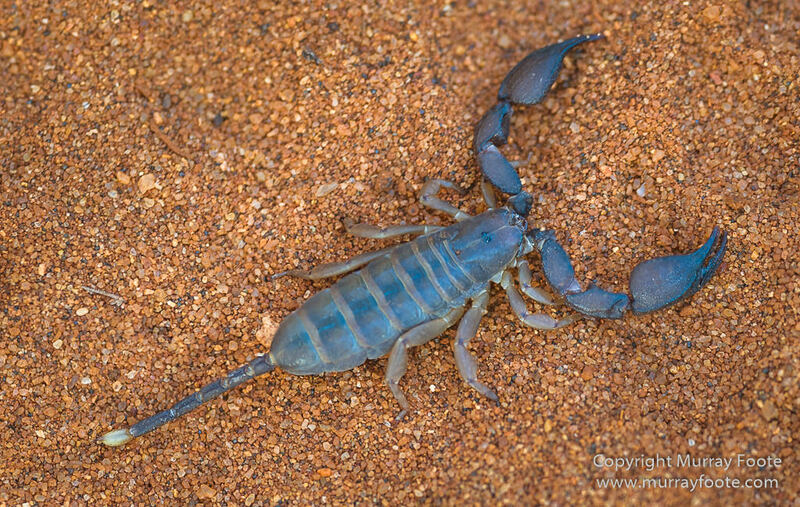 I don’t know for sure but I heard that the baby scorpions are more dangerous (assuming that is a baby, and not an adult of a small species), because they have not yet learned to regulate their sting, and just give you all they’ve got. At my house I wear boots outside in the dark because of these, snakes, black widows and vinegeroons. We’ll bear that in mind when we come. We have Eastern Brown Snakes over the back fence (and once in the yard), second most poisonous snake in the world but they don’t have much capacity to deliver the venom to humans and they’re not aggressive. There are also red back and probably white tailed spiders and I once saw a small scorpion and we do back onto the bush but I don’t worry about those things. Admittedly that may partly be because I originally come from New Zealand where there is no dangerous wildlife at all. Wonderful series, Murray. 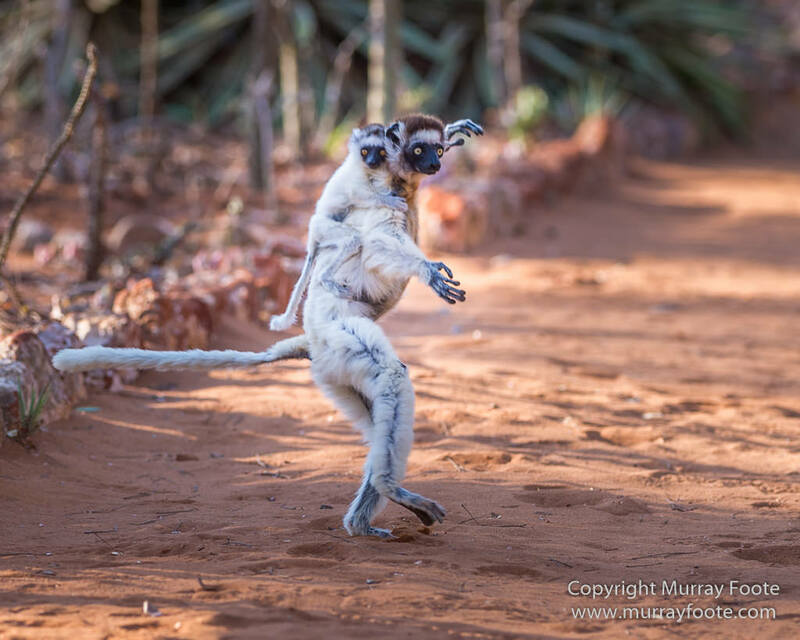 The Verraux’s Sifakas looks like she should be on a skateboard, the stance is just right! 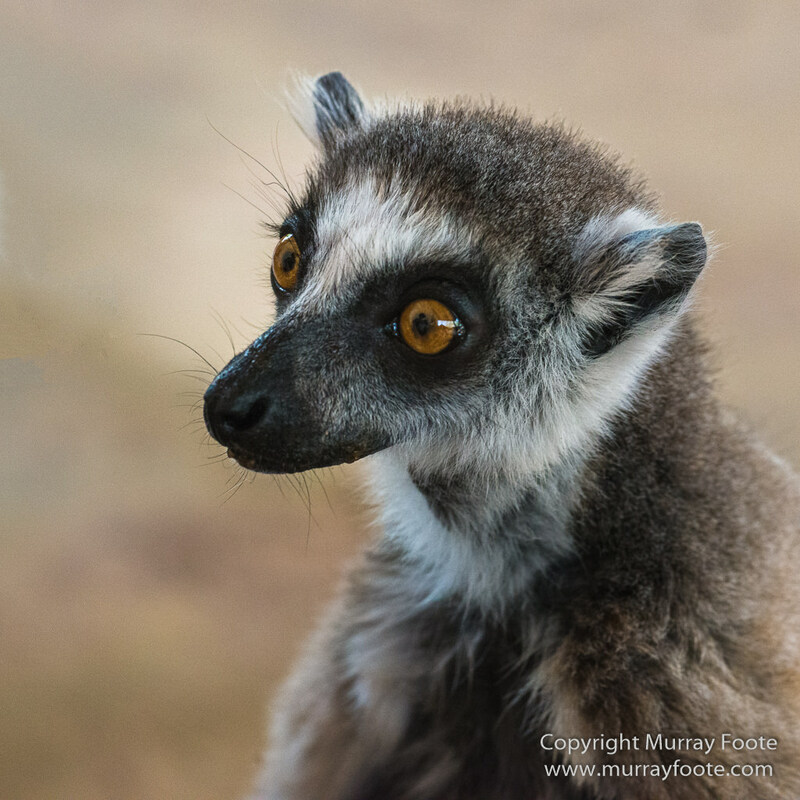 So many great shots but the ringtailed lemur’s face with the ringtail out of focus behind is what I think of as a fantastic image. What a great association! It’d almost be worthwhile setting up a shot of a skateboard on a city pavement and dropping them on to it! 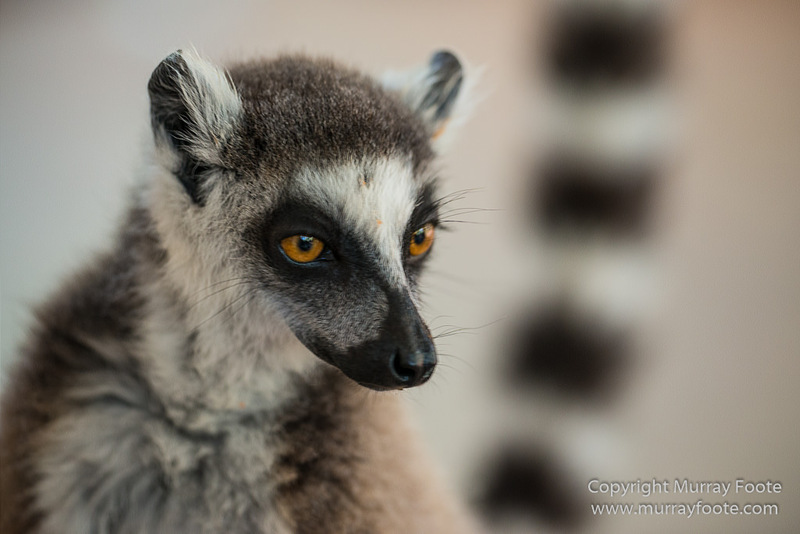 I do like that shot of the ringtailed lemur too. 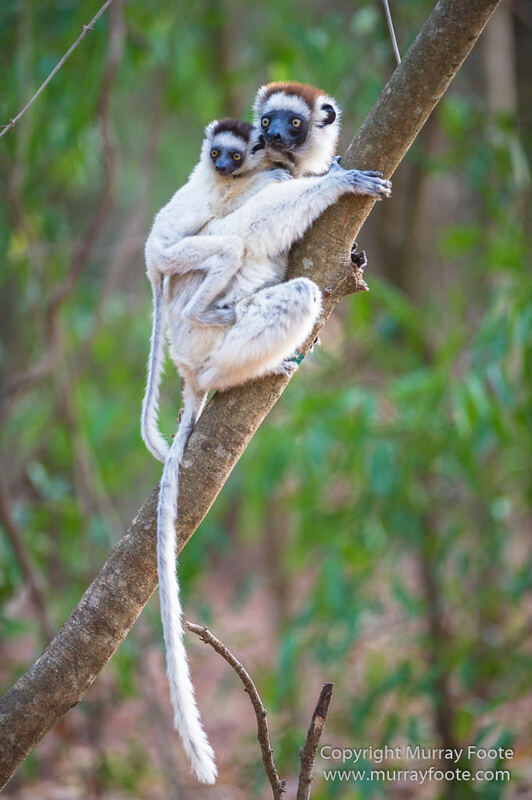 My fav is the lemur with his ringed tail gorgeously suffused in the background. Bet you were happy when you saw that one.